Popular names for synthetic drugs include spice, K2, flakka, and bath salts. Drug manufacturers continue to modify the chemical compositions to evade detection and stay ahead of the law. 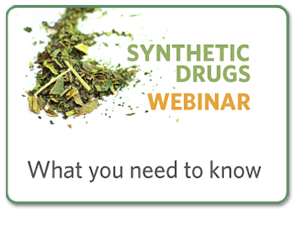 Dr. Kimberly Samano, Scientific Director, Quest Diagnostics gives an overview of pharmacological profiles and physiological effects of synthetic drugs, reviews trends in use, and discusses the challenges these substances create for workplace drug testing programs.